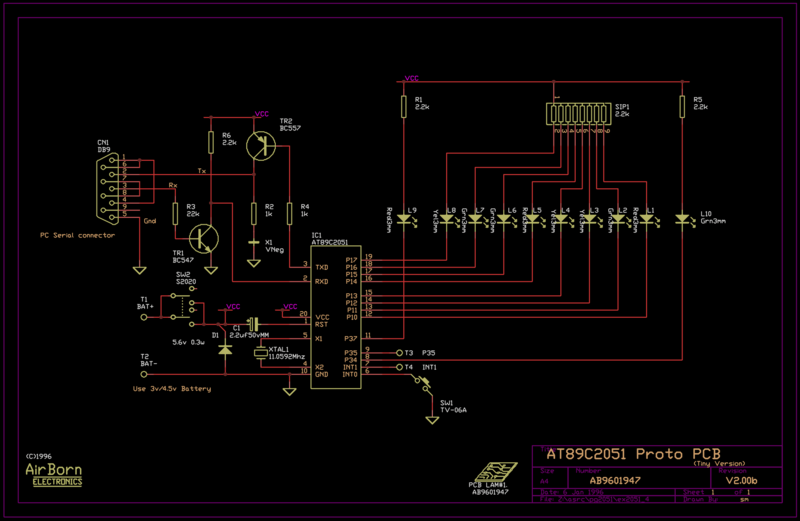 A useful schematic drawing program with a small IC database and user add on data base. Very good, excellent for the do-it-yourselfer. beginning of the library for use by the system. components in the old file, with a highlight bar over the first one. the names to suit you.